North America’s Eastern Continental Divide wanders across much of the eastern U.S., marking the division between waters that flow east to the Atlantic and those that flow west to the Mississippi. In West Virginia, it follows the Allegheny ranges between the basins of the Ohio and the James and Potomac rivers, and a proponent of educational tourism is hoping he can convince officials to install a sign where Interstate 64 crosses the divide. The divide wanders Dolly Sods. Photo by Anne Johnson. 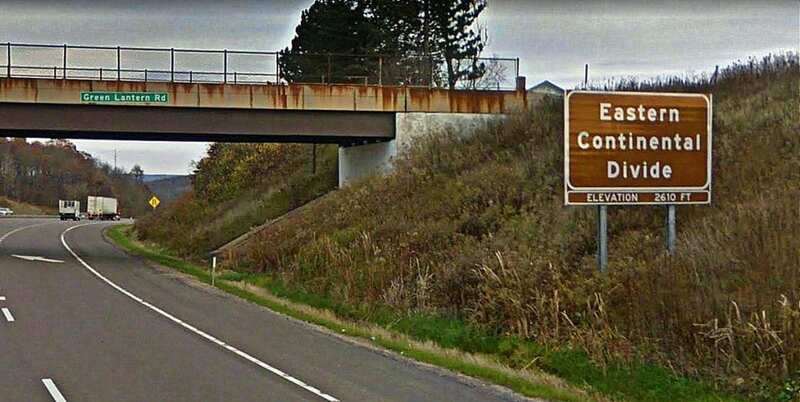 A similar sign already stands on the divide along Interstate 68 in Maryland, and Gary Godbey says he hopes a change last week in the state’s transportation administration can increase the chances of a sign being installed. “I’d say most travelers don’t realize that there is an Eastern Continental Divide,” he said. However, Godbey’s efforts to lobby for a sign were rebuffed in 2018 when state Commissioner of Highways Thomas Smith informed U.S. Senator Joe Manchin’s office that the sign did not qualify as necessary in West Virginia. However, Godbey wonders that Maryland had installed such a sign and why a sign that marks the 38th Parallel on Interstate 64 exists near Mahan, though it is not navigationally important. He says hopes the initiative to recognize the landmark gains ground now that Smith has been removed from the office by Governor Jim Justice, a move the governor announced Sunday. The divide runs generally south following the crest of the Appalachians through Pennsylvania, Maryland, West Virginia, Virginia and North Carolina to Mount Mitchell. There it descends to the Georgia plateau and through the Florida lowlands to Lake Okeechobee. 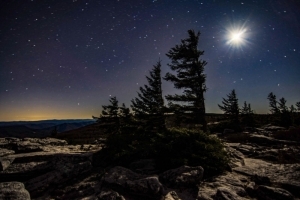 In West Virginia, it follows the high ground southward along the crest of the Allegheny Front across Dolly Sods and over the state’s highest point at Spruce Knob to Allegheny Mountain on the state’s border with Virginia. The divide on I-64 is located about three miles east of White Sulphur Springs, West Virginia, in a low gap between a small tributary of Wades Creek, in West Virginia, and a tributary of Jerry’s Run in Virginia. Prior to about 1760, the divide represented the boundary between British and French colonies, and the Royal Proclamation of 1763 established it as the western limit of the 13 colonies. Godbey encourages others who would welcome the installation to contact him at gdgodbey@gmail.com.